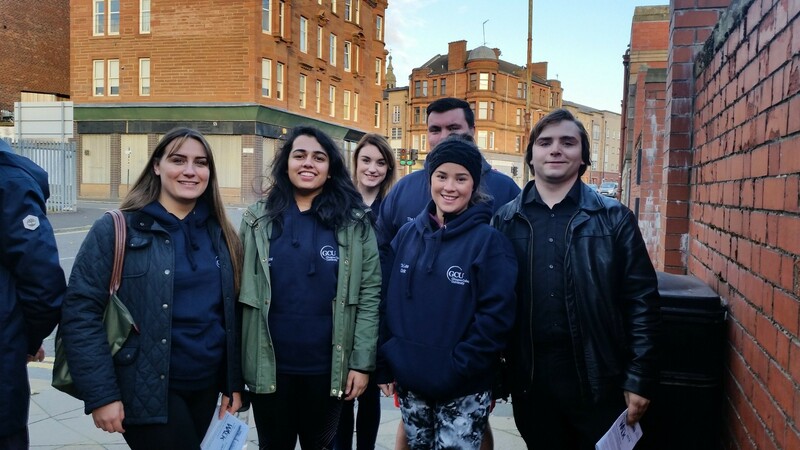 On Monday 10th October, a group of our volunteers took part in the Glasgow Legal Walk to help raise funds and awareness of Access to Justice. Being an organisation which provides free legal advice; we completely understood the importance and need to help raise money to further develop this area. Over the past few years there has been a reduction in local authority and government funding being distributed to aid legal organisations, such as our own, which help those struggling within our communities. The contributions raised from everyone taking part are going to help fund this gap. The walk was 10K in length and had a fun photo challenge to get the creativity flowing, where you had to find locations throughout the walk which fit the caption. We met with Sheriff Turnbull, as well as other law firms and academics who were participating. 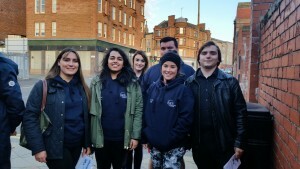 The walk began at the Glasgow High Court at 5:30pm and followed on through Glasgow Green, around the South Side and finishing off at Bar Home, where all participants were welcomed in for a much needed drink at the end. Overall, the night was a fabulous opportunity to raise money for a good cause, interact with similar people in the field and have a nice walk in the fresh autumnal air! The total raised by all participating was £1,163.49.